With the Mets ahead one game to none in the series, Manager Gil Hodges sent Jerry Koosman (17-9 / 2.28 ERA /180 Ks) to the mound against Atlanta's Ron Reed (18-10 / 3.47 ERA / 160 Ks). In the Mets top of the 1st, Tommie Agee led off with a single. Wayne Garrett walked 7 then Agee stole third. Cleon Jones walked as well. 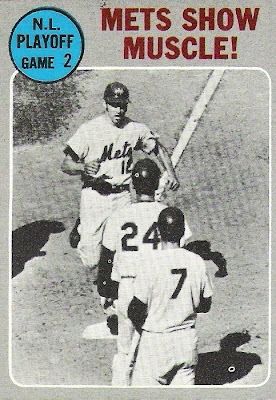 The Mets were looking for a big inning but Art Shamsky & Ken Boswell both struck out. Ed Kranepool then sigled to right bringing in Agee with the first run. Inthe 2nd, Koosman drew a one out walk. Tommie Agee the connected with another key hit, something Agee always seemed to do in 1969. He hit a two run Hr putting the Mets up 3-0. Cleon Jones would double & score on Art Shamsky's RBI base hit. 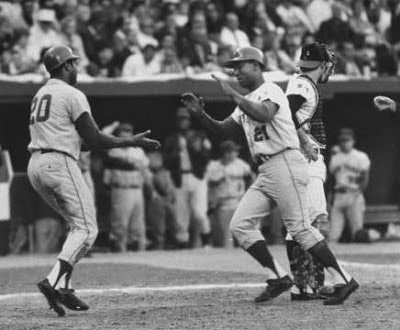 For New York, Jerry Koosman rolled along until the 5th inning, he then gave up a three run HR to Hank Aaron. Next Carty & Cepeda both reached on a walk & double respectivley. Clete Boyer's base hit scored two more runs & for a total of six in the inning. It was not one of Koosman's best performances in the post season, but from here on in he would be fantastic. Ron Taylor came in, ended the inning & threw a scoreless 8th. For the Mets, Cleon Jones added a two run HR in the 7th inning off Cecil Upshaw the sixth Braves pitcher, making it 11-6 Mets. Cleon would have three hits & three RBIs on the day, a HR, a walk & two runs scored. Art Shamsky also had three hits, as Tommie Agee & Wayne Garret both had two hits each. 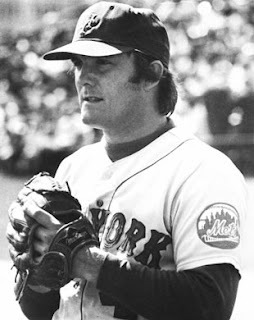 In the 9th Tug McGraw, gave up a walk & a base hit but quickly shut the door to earn his first post season save. 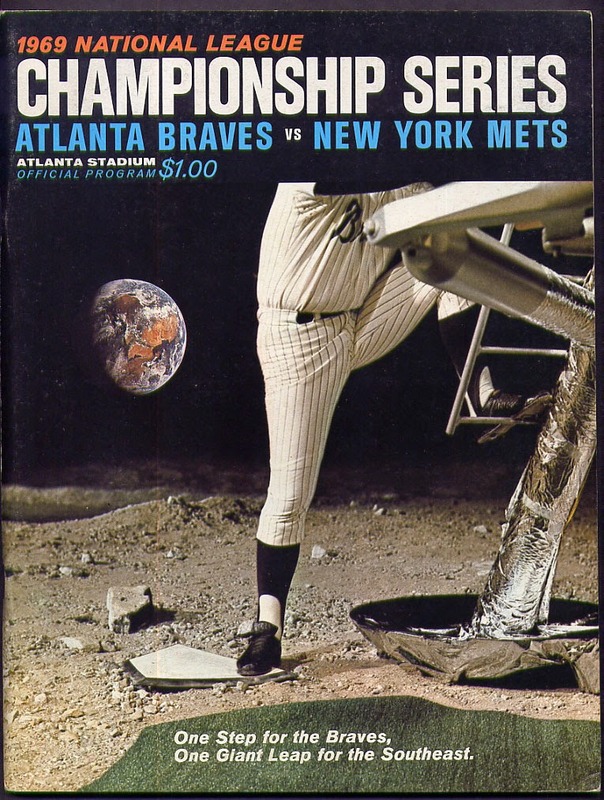 The Mets were sitting pretty with a 2-0 Series lead on their way back home to an excited New York City & Shea Stadium.